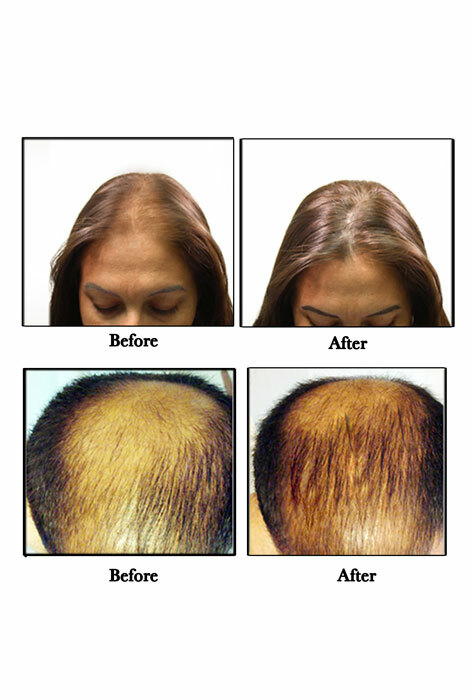 Combat hair loss and help restore your hair’s thickness with Grande Hair®. Safe, natural spray uses advanced technology to immerse your scalp in vitamins, peptides and amino acids, stimulating dormant hair follicles. This exclusive formula also helps restore your hair’s shine and bounce. Start seeing results in six weeks with full results in four months. One bottle lasts three months. 1.35 fl. oz. Ingredients: Water, Polysorbate 20, Peg-40 Hydrogenated Castor Oil, Butylene Glycol, Glycerin, Ginkgo Biloba Extract, Mentyl Lactate, Panax Ginseng Root Extract, Silk Amino Acids, Apigenin, Biotinoyl Tripept Ide-1, Oleanolic Acid, Peg-26-Buteth-26, Calendula Officinalis (Marigold) Extract, Camellia Oleifera (Japanese Green Tea) Leaf Extract, Carica Papaya (Papaya) Fruit Extract, Geranium Maculatum Extract, Glycyrrhiza Glabra (Licorice Root) Extract, Panthenol, Pilocarpus Pennatifolis (Jaborandi) Leaf Extract, Taraxacum Officinale (Dandelion) Rhizome/Root Extract, Vitisvinifera (Grape) Seed Extract, Zincpca, Phenoxyethanol, Sodium Lactate, Fragance, Proline, Sodium Lactate, Fragance, Proline, Sodiumpca, Sorbitol, Arctostaphylos Uva Uris (Bearberry) Leaf Extract, Bisabolol, Disodium Edta, Magnesium Ascorbyl, Phosphate, Methylisothiazolinone, Yellow 5, Prostaglandin Isopropyl Cloprostenate. At nighttime, spray GrandeHAIR directly to the hair root and massage into the scalp on areas you are looking to improve. See results in 4 months. To maintain, use every other day. 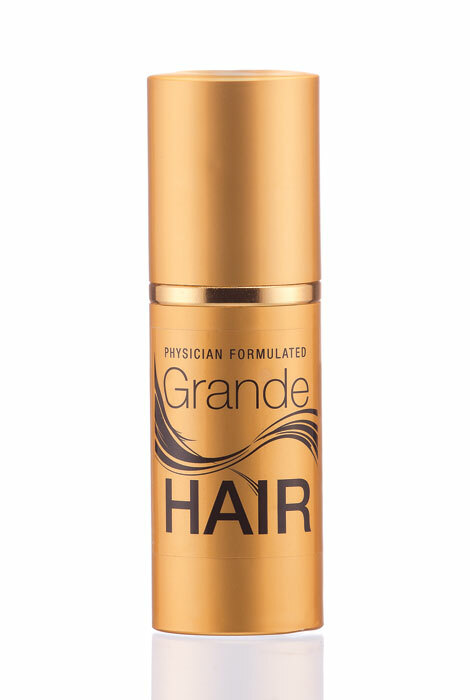 Grande HAIR promotes thicker, healthier & fuller looking hair. The advanced ingredient technology in Grande HAIR brings nutrients and vitamins to the scalp, helping to stimulate dormant follicles and prevent hair loss. This exclusive formula helps revitalize damaged hair improving shine and bounce and the overall look and feel of your existing hair. GrandeHAIR works for both men and women and can be used on colored and dyed hair. I have used their eyelash product and it works. I read about how it works and wanted to see if it works for me. I will be sure to pass the good news on if it works. This is my second order and it seems to be working well. I really like it. Use this same brand for my eyelashes and it works great. Inow have the longest thickest eyelashes since my 20's. Is it hair color safe? Can I use it on permed hair? BEST ANSWER: Thank you for your question. We do not see a problem with using it on permed hair as long as you are following guidelines with using product on fresh perms recently done. We suggest you also ask your salon about it. We hope this information will be of help to you.